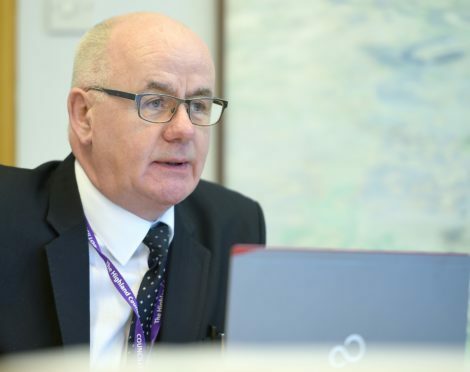 Budget leader Alister Mackinnon yesterday issued a stark warning over Highland Council’s precarious financial position in a statement predicting a £5.1m overspend this year, almost twice what was projected at the same time last year. Mr Mackinnon ruled out redundancies except in the most extreme cases where there was no possibility of redeployment. Staff have been asked to take action now to avoid non-essential expenditure, and to consider the deferral of non-priority activity, he said. Recruitment and overtime controls are to be stepped up, alongside a review of all agency appointments, such as drivers. Mr Mackinnon emphasised that services for the most vulnerable would be protected. Controls on travel expenditure were already in place with more and more meetings done by Business Skype, or videoconference, he said. Almost half the projected overspend, around £2m, comes from this year’s winter maintenance. Highland Council has complained bitterly about the Scottish Government’s refusal to settle local authority income for more than one year at a time. A Scottish Government spokesman said: “The facts are that Highland Council has received more money this year – not less – from the Scottish Government, despite UK Government cuts to our resource budget. “The council will receive more than £487 million Scottish Government funding in 2018-19. This means that taken together with their decision to increase their council tax by 3% Highland Council has £17.1 million more available to support services this year compared to 2017-18.